On the verge of making partner, Josh Pratt's life is turned upside down when the SEC investigates the head of his multibillion-dollar hedge fund for insider trading. 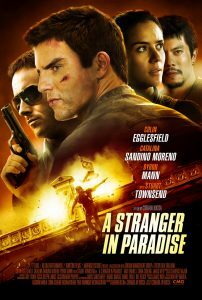 Forced into a well-timed "vacation" he never asked for Josh finds himself in Bangkok with a price on his head, a morally ambiguous brother who is knee deep into the Thai mafia, and a propensity for getting shot at. Unfortunately for Josh, the only way out is to give up information he doesn't know he has.